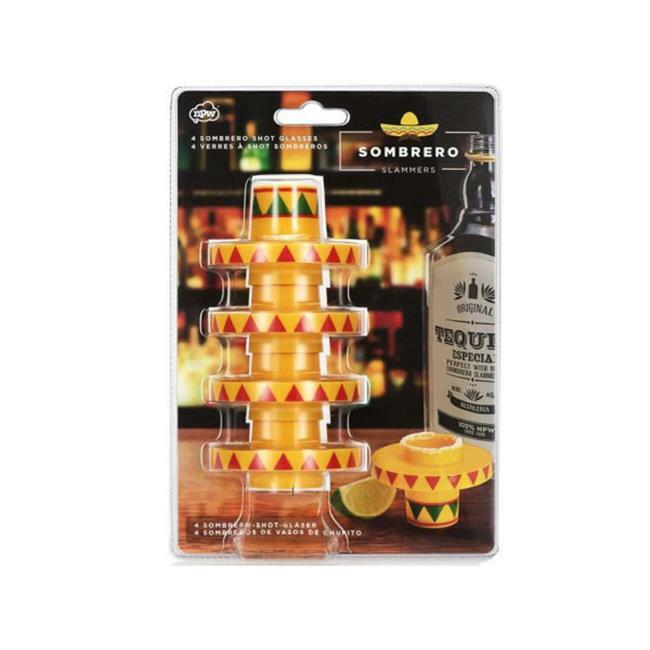 Nothing tastes better than having tequila shots in a sombrero shot glasses. This super cool shot glass will go with your Mexican themed party. The blister pack is approximately 9.50'' x 6.50'' x 3'' in size.